Altered metabolism of cancer first highlighted by Otto Warburg has a long history. Although ignored for a considerable amount of time, it is now receiving substantial attention. 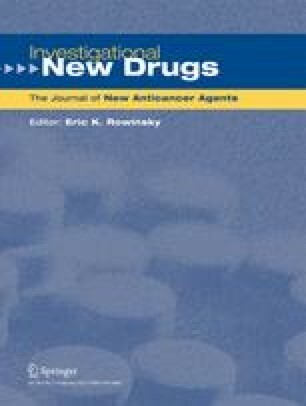 We recently published results obtained with a combination of two drugs, lipoic acid and hydroxycitrate, targeting metabolic enzymes particularly affected in cancer: ATP citrate lyase and pyruvate dehydrogenase kinase. This treatment was as efficient as chemotherapy in the three mouse cancer models that were tested. In this work, we asked if our drug combination could be used in conjunction with standard cytotoxic chemotherapy, in particular cisplatin, to improve basic protocol efficacy. A combination of lipoic acid and hydroxycitrate was administered to mice implanted with syngeneic cancer cells, LL/2 lung carcinoma and MBT-2 bladder carcinoma, concommitantly with classical chemotherapy (cisplatin or methotrexate). We demonstrate that the triple combination lipoic acid + hydroxycitrate + cisplatin or methotrexate is more efficient than cisplatin or methotrexate used individually or the combination of lipoic acid and hydroxycitrate administered alone. Of particular note are the results obtained in the treatment of an 80 year-old female who presented with ductal adenocarcinoma of the pancreas accompanied by liver metastases. A treatment course using gemcitabine plus α-lipoic acid and hydroxycitrate gave highly promising results. The in vivo data, coupled with the case study results, suggest a possible advantage in using a treatment targeted at cancer metabolism in association with classical chemotherapy. The online version of this article (doi: 10.1007/s10637-010-9552-x) contains supplementary material, which is available to authorized users. We acknowledge the help of Jean-Marc Steyaert. This work was funded by Biorébus. METABLOC is a trade mark of Biorébus. AG is an employee of Biorébus. The other authors declare that they have no competing interests.